Our day care center is called First Path because here children start their first path to the skills and knowledge they will carry throughout all their lives. Not only do we nurture children and care for them, but we also teach them. We create an environment that stimulates a variety of learning experiences in all areas of cognitive, physical, social, and emotional development. Our goal is to encourage a positive approach to life-long learning in each child. The First Path Day Care Center accepts infants, toddlers, and preschoolers. Our program of child development incorporates the best pedagogical achievements used in American and European day care centers. At First Path, children grow and develop in a warm, friendly, and secure environment. We want to do whatever we can to ensure that children attending our day care center will find themselves exceptionally well prepared for future schooling. Our preschool and older toddler program is designed to teach basic math, reading, geography, biology, history, drawing, sculpturing, music, dance, English (for the children of immigrants), and Russian (at the parents’ request) in an interesting and intelligible way, considering every child’s intellectual and physical development. Our program for infants and younger toddlers is designed to promote the physical, emotional, intellectual, and language development of young children. Our professional teachers are ready to meet infants’ and younger toddlers’ individual needs, from feeding and changing to napping and playing. 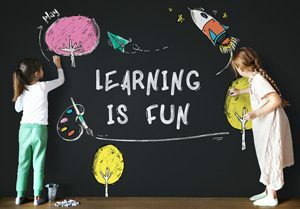 The whole process of children’s learning and development is organized in a way that children learn by playing stimulating and absorbing games. At the same time, these games develop creativity, discipline, kindness, self-esteem, best moral values, and create an individual in every child. Since every child is unique, we carefully study every child’s individual abilities and tailor our approach to the individual child’s social, emotional, and intellectual needs. The children of the First Path Day Care Center have access to a safe and clean playground and a large playing field located right next to the Center at Saltonstall Park. The children often walk to other parks and playgrounds to explore new territory. They are also given opportunity to play alone and in small or large groups both indoors and outdoors. The staff of the First Path Day Care Center meets or exceeds the state requirements for teacher certification. All our staff members are dedicated, respectful, and responsible early childhood professionals strongly committed to the exceptional care and development of young children. Our day care center encourages the staff and provides opportunities for them to continue their professional development by attending conferences, workshops, and professional training.